I have been super busy on my trip to the east coast to visit friends that I totally missed last Thursday and even my blogiversary (but hey, there will always be more). I still do have a little treat giveaway, but I will wait until I am back from my trip for the Lollipics prize (yay!). A for Addition!!! Addition is really the first thing we teach kids and kids always want more, more, more so I guess it is natural that we focus on addition first. How many ways can we make 8? Some kids will only say 1+7, 2+6, 3+5, 4+4, 5+3, 6+2, 7+1 That is 7 ways. But then you may have other kids that even think about splitting up the addition to be 1+1+6, 1+2+5, and so on. Then you start to think, Wow! There are a lot of ways to make an easy number--way more than the number itself. Anyway, let's see if your elementary student can find out how many ways there are to add numbers up to 8 (my husband probably remembers the shortcut). Let me know what answer you come up with. In other news I am on my trip to visit with my NY and CT friends and my wonderful husband is holding down the fort (with all five kids). I spent one day in West Babylon last week after flying into JFK and taking the train out to Long Island. 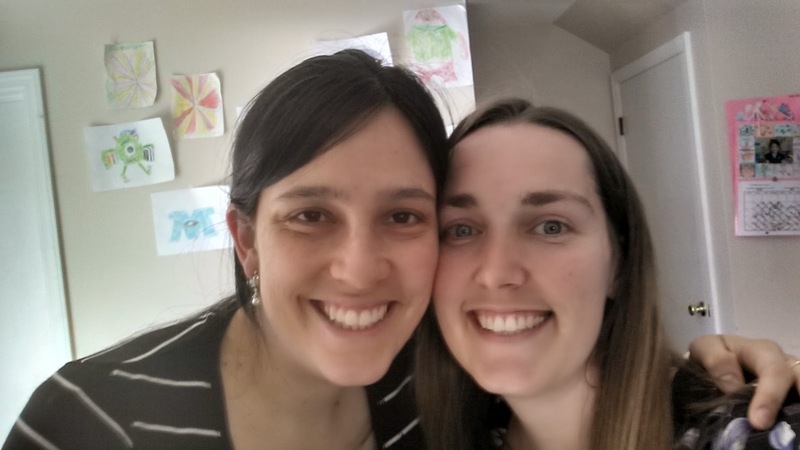 We had a great pizza lunch on Friday and my college friend from BYU and I had a great time catching up and talking about the similarities and differences between NY and southern CA. 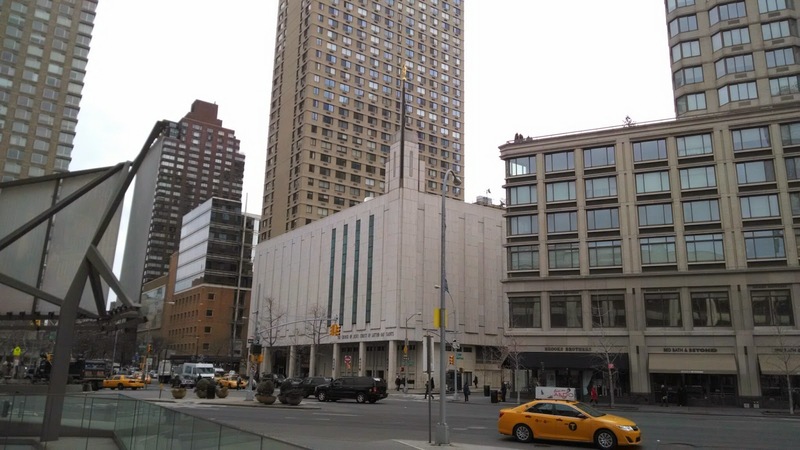 On Friday I went into the city and visited (attended a session) in the Manhattan Temple. It was beautiful! Plus, that day it wasn't freezing--it was 50 degrees so it was barable. Then I took the train up to Connecticut. My friend is looking for a new place to live due to the landlord not renewing their lease. I have been trying to help her scour Realtor.com for an affordable place. We even went to look at houses late last night. It was fun, but disappointing a bit. Some houses are just so expensive! Saturday I helped my friend go through bags of clothes and helped her daughter go through her closet to give away the clothes that didn't fit anymore. My daughter is the same way--it is so much more fun to go through clothes with someone else (I think I enjoy it too! I give away much more if a friend comes over to help me clean out my closet--but only special friends are willing to help clean). Sunday we went to Church and it was great! They had a nice ward (congregation) with a LOT of families. Later that day I made cookies--something that my friend had never done. She grew up in South America and apparently baking isn't something that she learned. She was happy to learn how to make chocolate chip cookies and I was happy to show her (and eat some--yum!). Tomorrow we are going to bake bread too! Today was super busy, but I did get to fix her older laptop that had a broken jack so she couldn't charge it. Thank goodness for Amazon for having the part, YouTube for having a tutorial, and my friend for having a mini tool kit. It took a little while, but after following the directions and figuring out a few little details of the steps he didn't do a close-up on, it worked! All her pictures were rescued from the hard drive (and I impressed her husband). Well, it has been a long day. If you are interested in participating in the A to Z blogging Challenge you can go here to learn more about it. I completed the challenge last year and have good intentions for this year, but it is going to be tough. Have a great day everyone! Great! Thanks for stopping by today! I taught a math games class at our homeschool co-op this past year. One of the games we played was Make 10, using playing cards. Each child got 5 cards (1-9) and had to try to make 10 using as many cards as possible. It got them past the simple 2 addends and stretched them to using 3 or more. Math was always my favorite subject - great post! Math is such a cool subject - I wish more people realised it instead of being frightened by it. We homeschool and my kids use a curriculum but I always make sure that every Wednesday we do math purely for fun. They absolutely love it. That sounds great! Exploring and making math connections is fun! Thanks for stopping by and commenting. Loved the post. Math was my least favorite subject....but that was because of one poor teacher. Just one can mess up the whole scheme of things. I teach high school English 11 and Spanish. That is unfortunate. Hopefully I can make it more enjoyable and that influence won't be repeated : ) Thank you for stopping by!